• A delicious ingredient for baking. 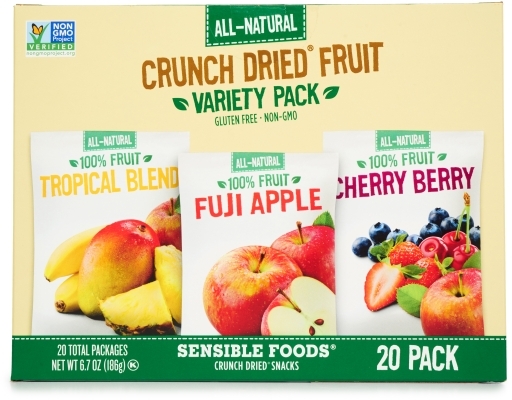 Satisfy your snack cravings with 100% fruits from nature and nothing else in this special variety pack. 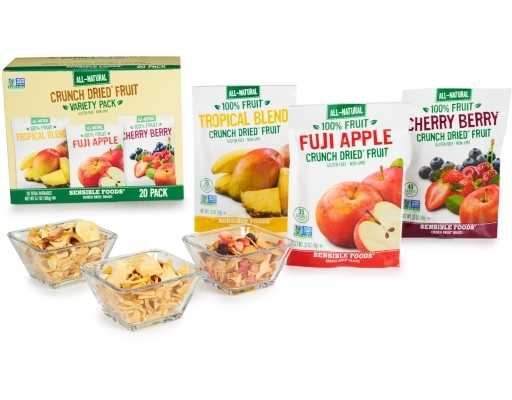 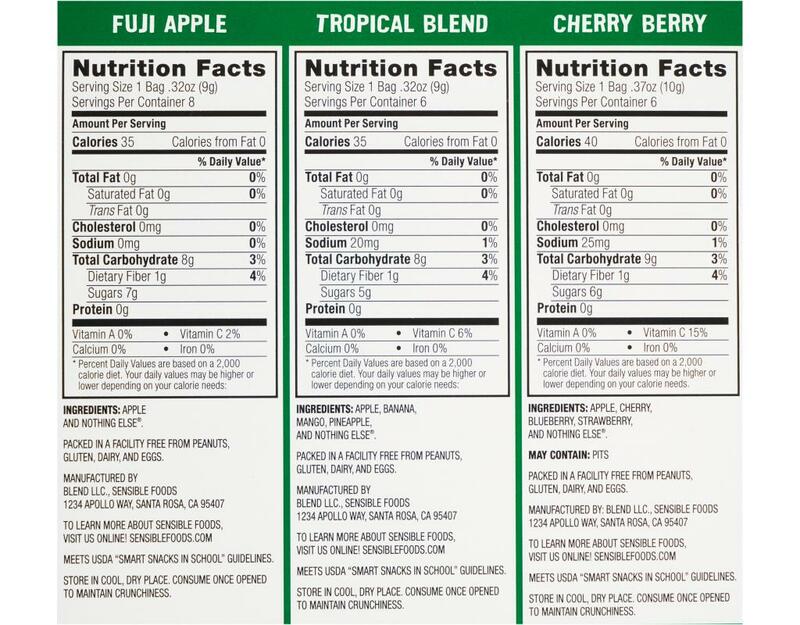 Sensible Foods uses only the highest quality fresh apples, cherries, blueberries, strawberries, bananas, mangos, and pineapples handpicked at the peak of ripeness then Crunch Dried to ensure a delightful snacking experience. 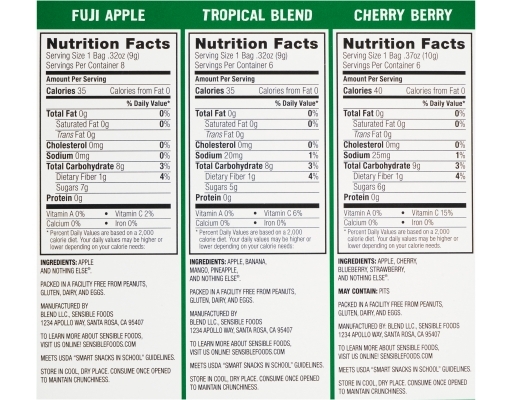 Sensible Foods’ unique drying process retains the full flavor and nutritional value, while locking in the natural sweetness. 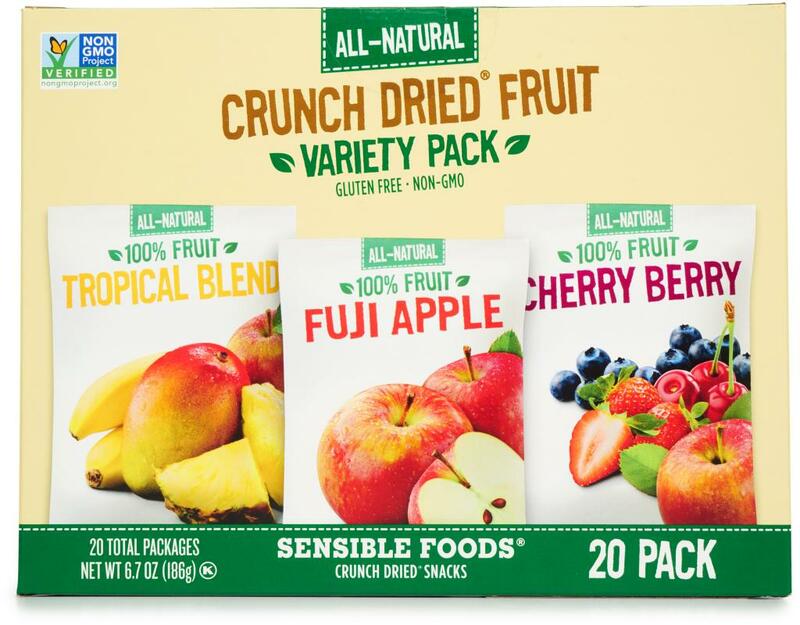 Light and crunchy bites of delicious fruits are packed in easy-to-carry bags for a perfectly amazing on-the-go snack anytime, anywhere. 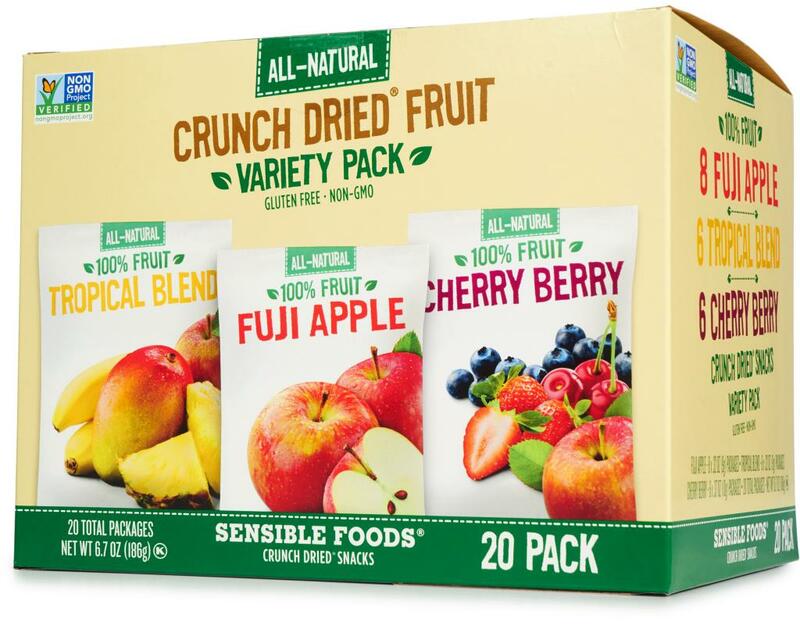 Bring to the office, enjoy with a movie, or refuel on a hike. 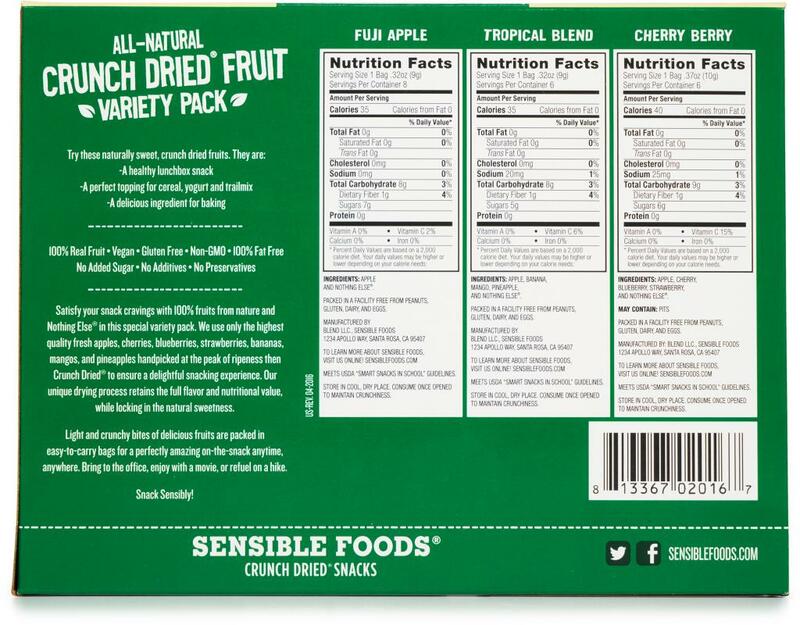 Snack sensibly. 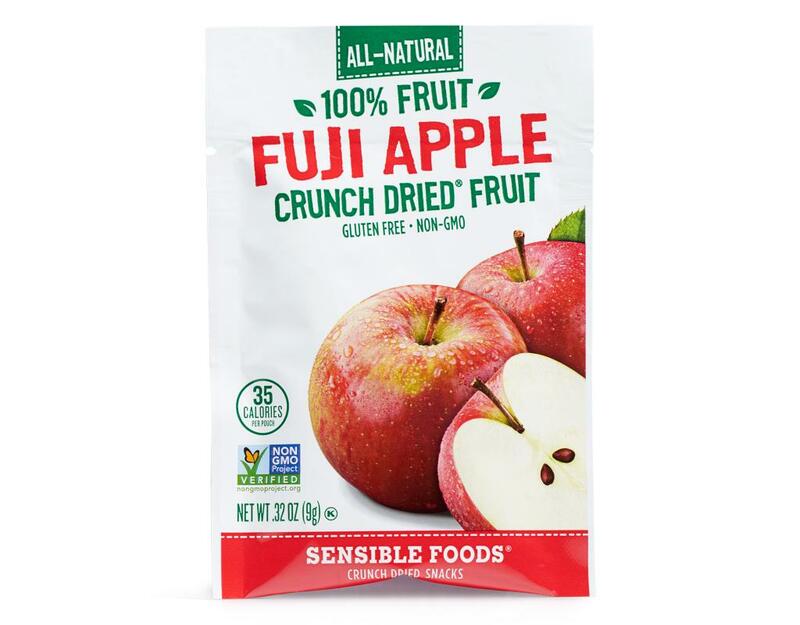 Fuji Apple: Let the taste of sweet Fuji apples satisfy your sweet tooth! 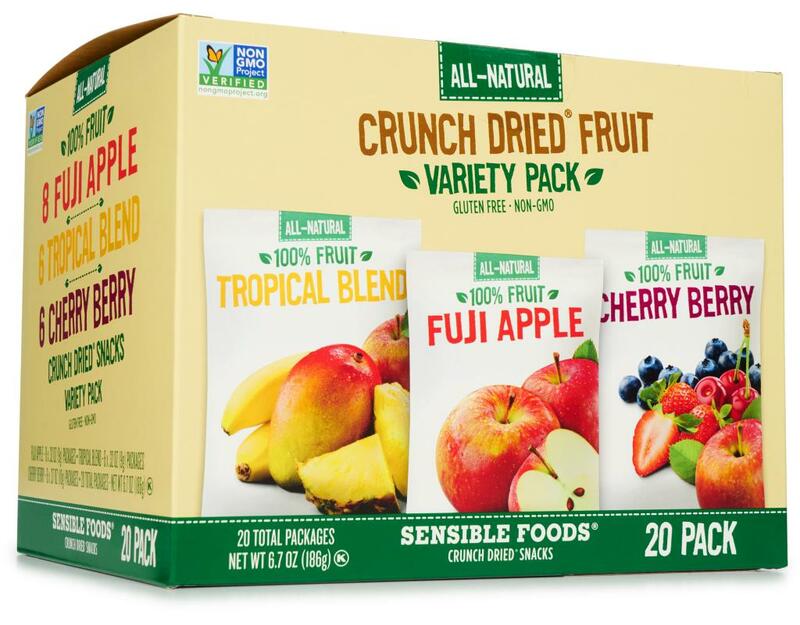 Fuji Apple has a fresh juicy taste that’s bound to be a crowd pleaser for sensible eaters of all ages. 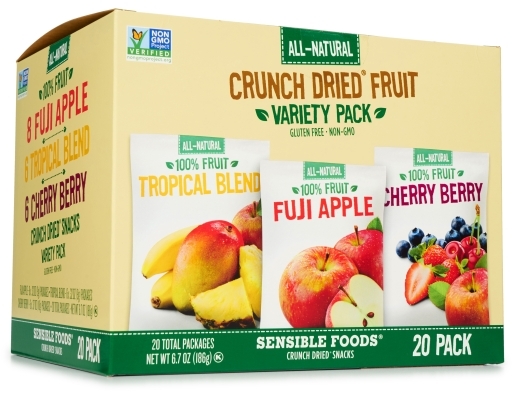 Light and crunchy bites of apple make this a perfect addition to hot or cold cereal, or just by the handful. 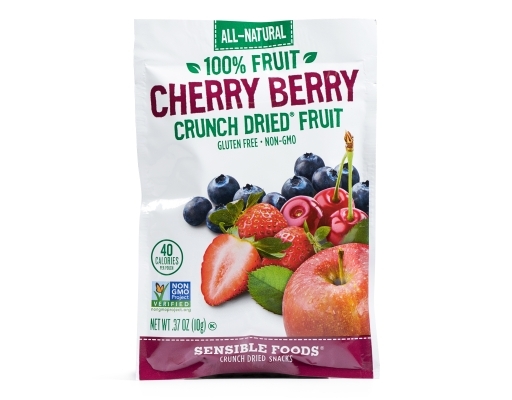 Cherry Berry: Enjoy the wholesome taste of summer with this natural blend of cherries, blueberries, strawberries and apple. 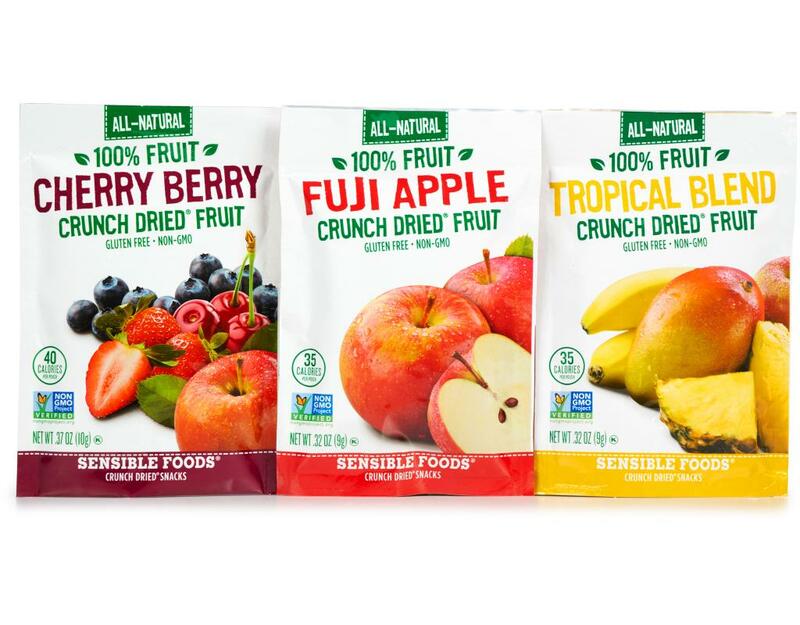 Tart berries and sweet apple make for an exciting blend of flavors. 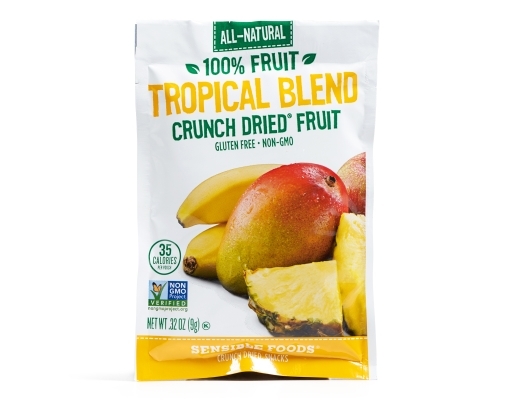 Makes a great mix-in for yogurt or granola. Packed in a facility free from peanuts, gluten, dairy and eggs.